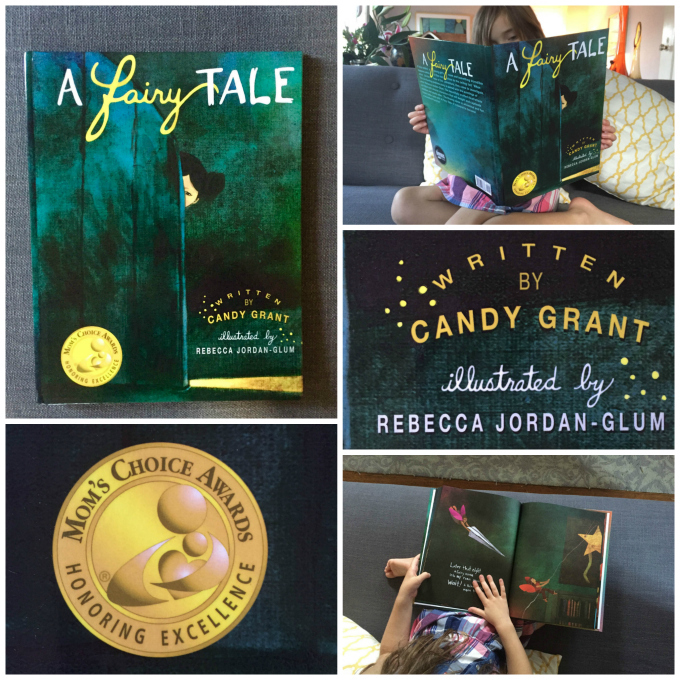 Today’s spotlight goes to one of my oldest and dearest friends, Rebecca Jordan-Glum and her gorgeous, debut illustrated children’s book, Mom’s Choice Award Gold Honoree, A Fairy Tale (affiliate). 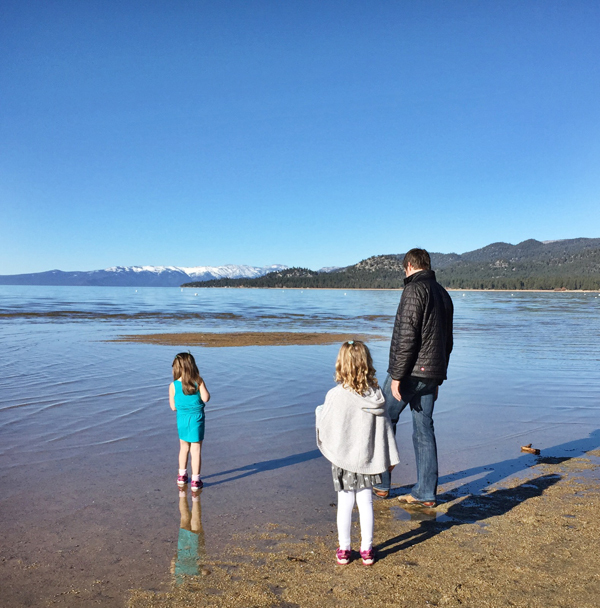 Rebecca and I met on the first day of second grade under the wise supervision of our teacher, Kateri Sullivan. Our friendship was off to a rocky start over a misunderstanding that was quickly resolved (sorry again, Rebecca), and we have been friends ever since! Phew. Our teacher was a wonderful, creative woman who taught us how to make things like latch-hook rugs and encouraged us to paint along with Bob Ross. I would truly not know a lick about Bob Ross and his happy little trees if it wasn’t for our teacher. We even, gasp, illustrated our own books in her class. And here we are, on this poetic occasion, to celebrate Rebecca’s ongoing journey as a maker and book illustrator. 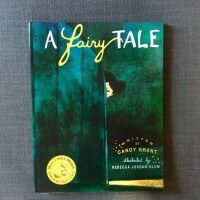 My five year old says of the book: “I like the pictures. Good drawings!” And I have to agree. As you can see, the colors and richness of the painting is stunning and quite sophisticated. I’m happy to be giving away one copy of the book via Instagram. You can see the post here or follow me on Instagram at TinkerLab. 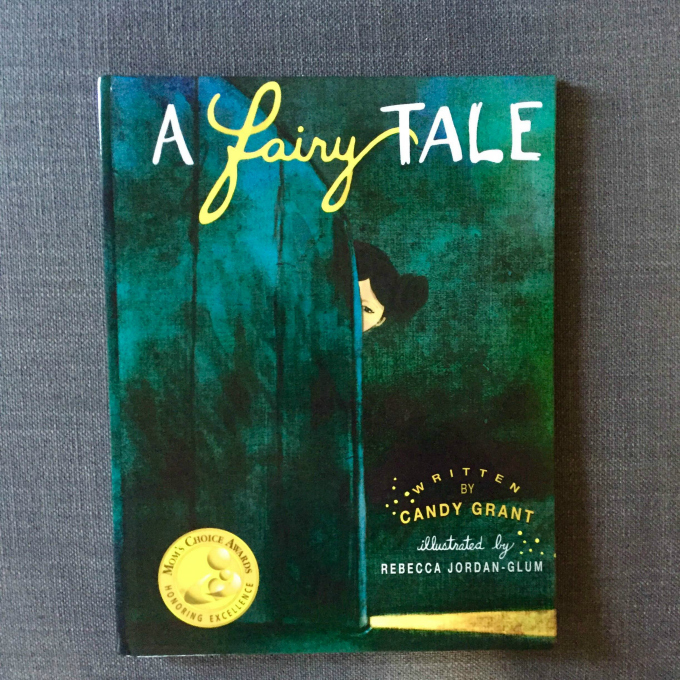 To enter the contest, simply leave a comment on the Instagram post and tag a friend who enjoys kids literature, and a winner will be chosen at random on Sunday, 2/21 at 5 pm PT. U.S. entries only, please. 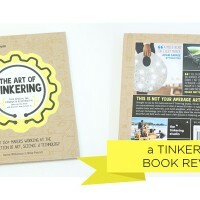 We were sent a free copy of The Art of Tinkering to review, but all ideas shared here are our own. This post contains Amazon affiliate links. 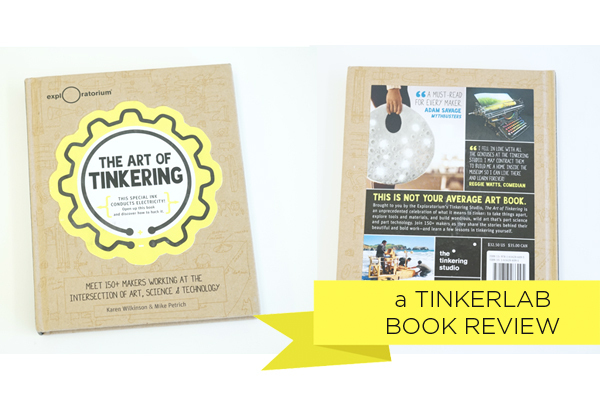 Last year I had the good fortune of getting my hands on a copy of The Art of Tinkering by Karen Wilkinson and Mike Petrich. 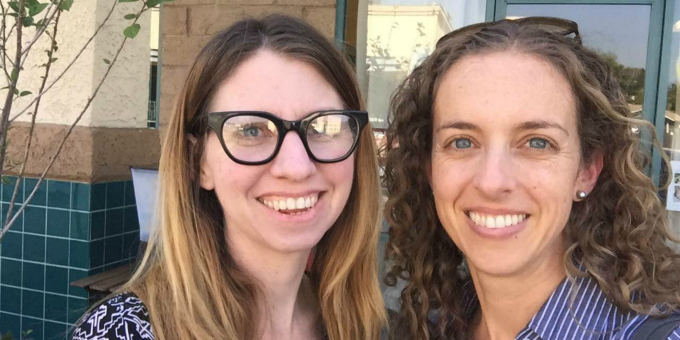 Karen and I went to the same grad school (different years), and she invited me to join her in a virtual hangout last year, Engaging Children with Making and Tinkering, but it wasn’t until last month that we finally met. And I was lucky enough to have her and Mike sign my book! Karen and Mike work at The Tinkering Studio at San Francisco’s Exploratorium, where Karen is The Tinkering Studio’s Director and Mike is the Director of the Making Collaborative. In this capacity the two of them interact with countless artists, designers, and tinkerers who invent, build, and construct wondrous things. 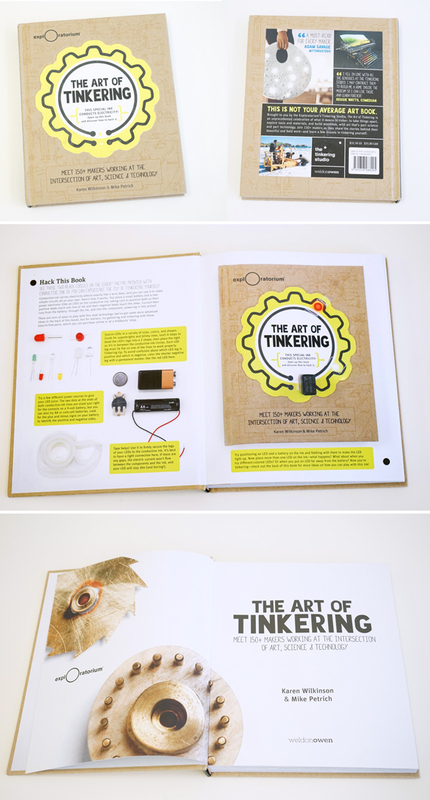 The book includes behind-the-scenes peeks at the creations and inventions of 150+ makers who work at the intersection of art, science, and technology. It’s laid out beautifully and artistically, just as you would hope a book like this would be. Each turn of the page presents the eyes with a feast of tools, textures, and materials that make you want to reach right into the book and play. The project ideas are introduced with examples of artworks that exemplify the technique, and then followed up with a how-to, so you’re not left wondering how on earth you can tap into what seems like magic. 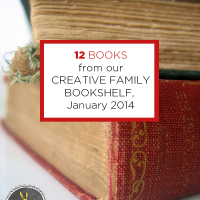 While this book caters to an adults audience, grownups with kids in their lives will find plenty of useful takeaways. So, I sat down with my older daughter (then 5-years old) and after MUCH looking she was most inspired by the toothpick sculptures of artist Scott Weaver. Weaver creates elaborate sculptures made of thousands of toothpicks, and you can learn more about him on the Exploratorium website. 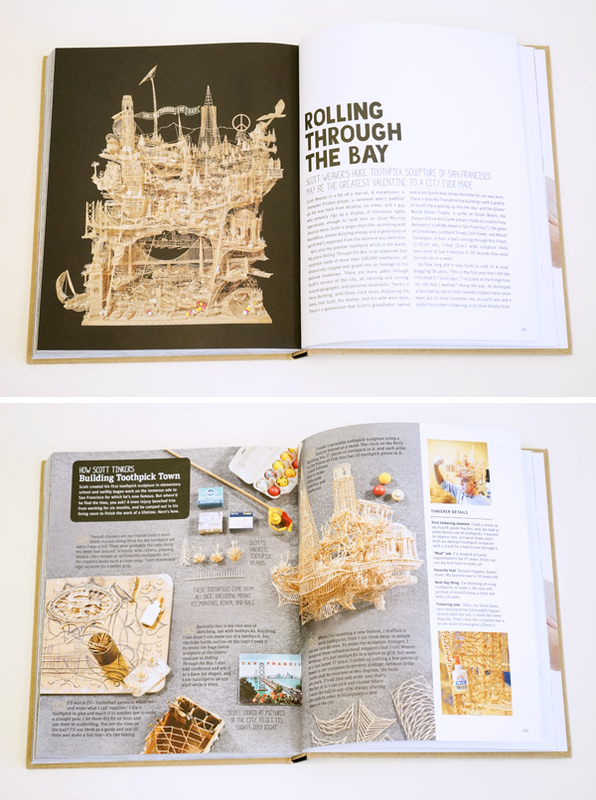 We learned that his mega-artwork, Rolling Through the Bay (see below), a model of San Francisco itself, is made up of roughly 100,000 toothpicks, the only glue that’s holding it together is Elmer’s, and it took the artist about 3,000 hours to make…over a period of 34 years! One more thing. Do you see those tiny balls at the bottom of the sculpture? To give you a sense of scale, those are ping pong balls that run through pathways in the sculpture. 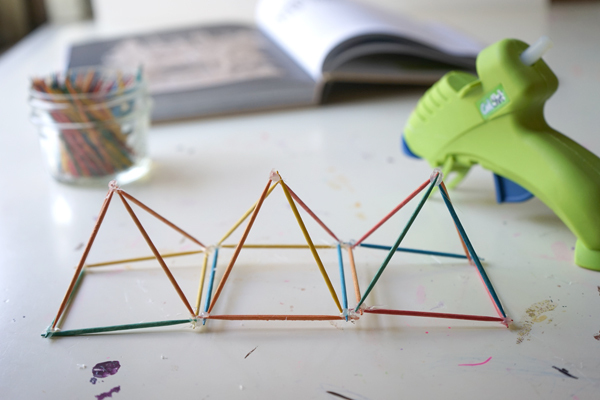 Fully inspired, we pulled out our collection of colorful toothpicks, our trusty low-heat glue gun (neither of us had the patience for Elmer’s on this day), and started to build. My daughter was thinking more geometrically, and we started gluing squares together, which soon turned into pyramids. 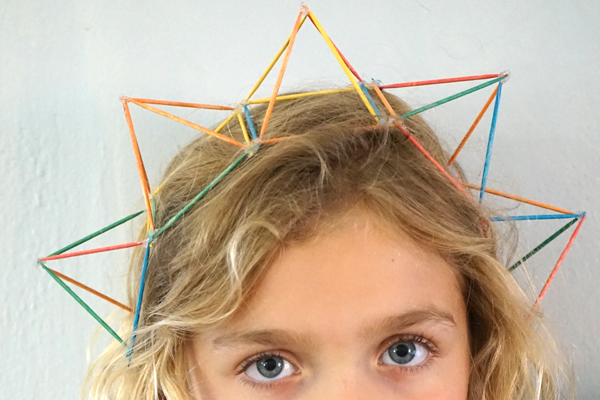 And then, what began as a series of squares and triangles somehow turned into a crown! My daughter added some ribbon to tie it around her head, and voila! The toothpick sculpture is just one idea of many that has sparked dialogue and ideas in our home. The marble run page is wild and wonderful, and will give you a feeling for the Exploratorium itself. Every few pages highlights a different tinkerer and his or her craft, along with plenty of inspiration and ideas for diving right in, material lists included! It’s not a how-to book in the traditional sense, but for anyone who likes to borrow ideas from the makers themselves, this book is a treasure and will not disappoint! 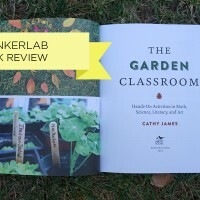 My publisher, Roost Books, just released the most gorgeous book for families who are interested in teaching through the garden. 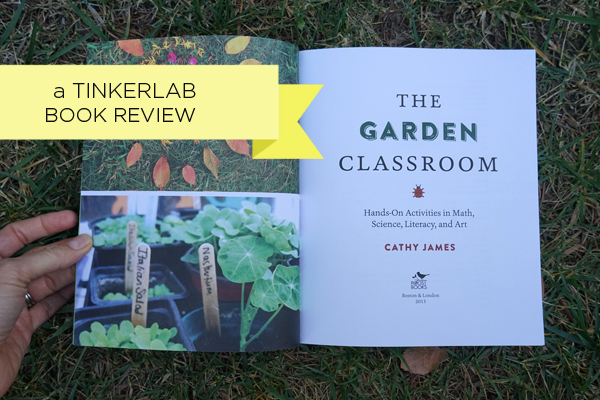 In The Garden Classroom (affiliate), author Cathy James introduces us to great ideas for integrating math, play, imagination, reading, writing, science, and art into the natural environment. 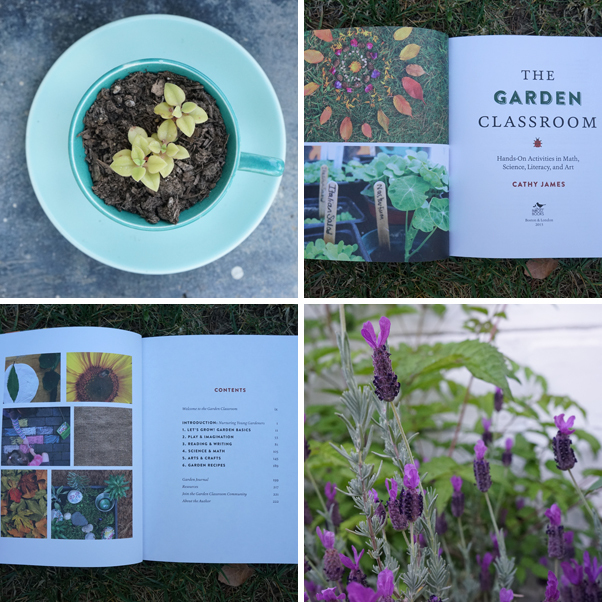 Hint: With Earth Day right around the corner, this book would be the ideal gift for the garden-loving family. To make this post match the spirit of the book, I thought I would carry the book out to my garden and snap a few shots – sort of appropriate, right? You can see one of our newest garden additions in the top left photos (above and below) – a succulent in a tea cup that we made with my mom. I’ll share a tutorial soon (it involves a power tool, so yeah, pretty fun). While my mom had it all mapped out, I loved spotting this same project in Cathy’s book as a Quirky Ecoplanter. Whether or not you have a green thumb (or fingers, as Cathy says in the UK), this book will meet you where you are. I love my garden, but given my inclination to maximize my studio time, my garden is often ignored. Plus we’re in the middle of a looooong drought, so watering isn’t a big goal at the moment. You may notice that my lavender is doing nicely. It gets just a smidge of water and boom, lavender. So beautiful. 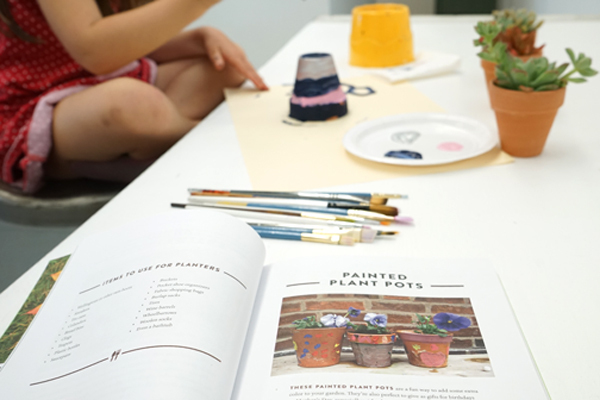 The book culminates with some wonderful handout-style activities that can be written on in the book or photocopied for further garden enrichment. 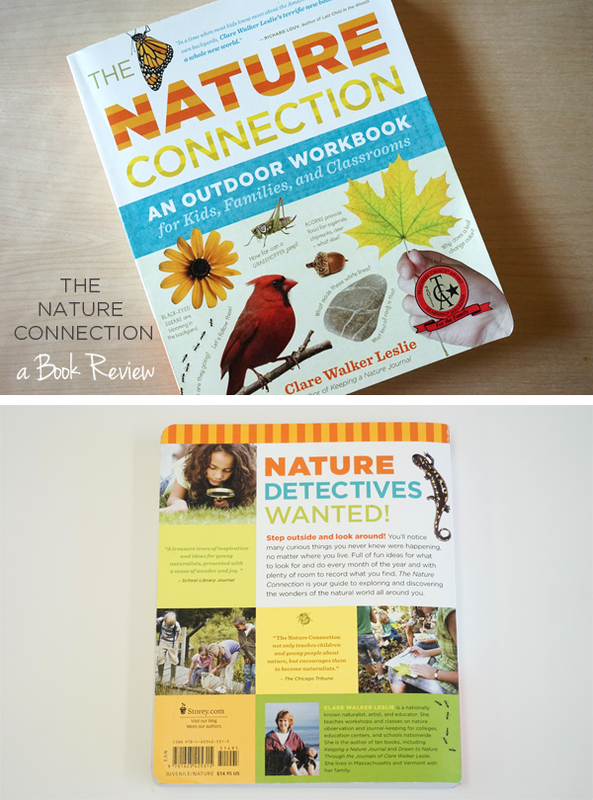 Another page invites children to create a snapshot of the garden by recording things like the weather, what they heard, and if they spotted any animals. As I flipped through the pages, my 4-year old daughter kept making me stop so she could take longer looks. She already let me know that she wants to grow her own mini meadow (yes, I do too!) and she is already collecting tiny pinecones and other objects to place in a cement stepping stone. The book has just been out for a few days and it’s already the #1 New Release in the Parent Participation in Education category on Amazon. 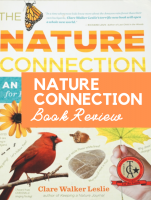 If you love to spend time outdoors and want to find ways to integrate the garden and nature with play and a child’s natural curiosities, this book is designed to help you get there, gracefully. I can’t recommend it enough! 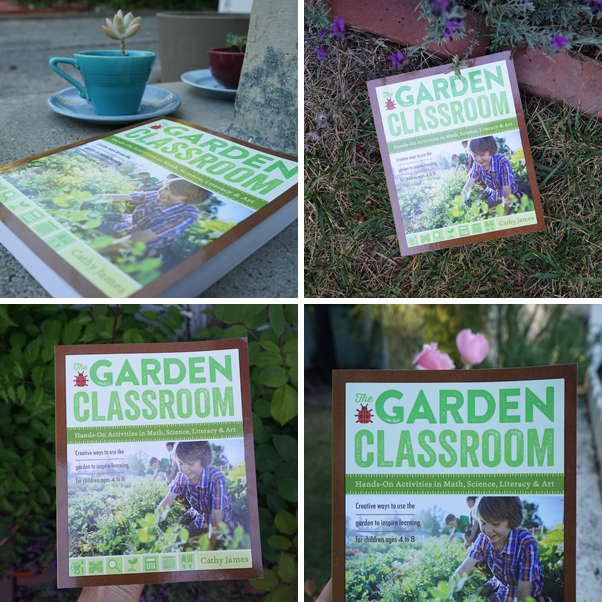 The Garden Classroom, Amazon. It’s in stock, Prime eligible, and currently on sale for 20% off list. 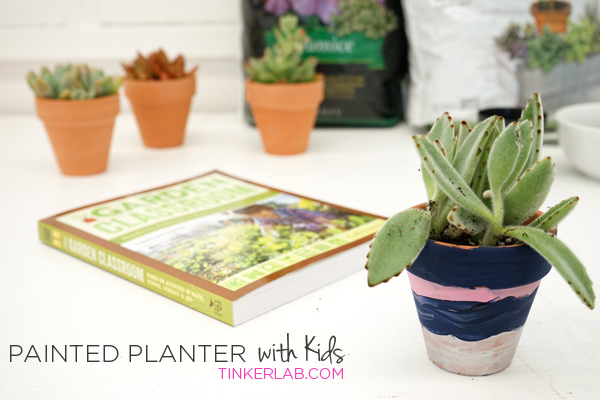 Join me in the next post and I’ll share how to make a painted plant pots to hold a succulent (inspiration taken from The Garden Classroom). 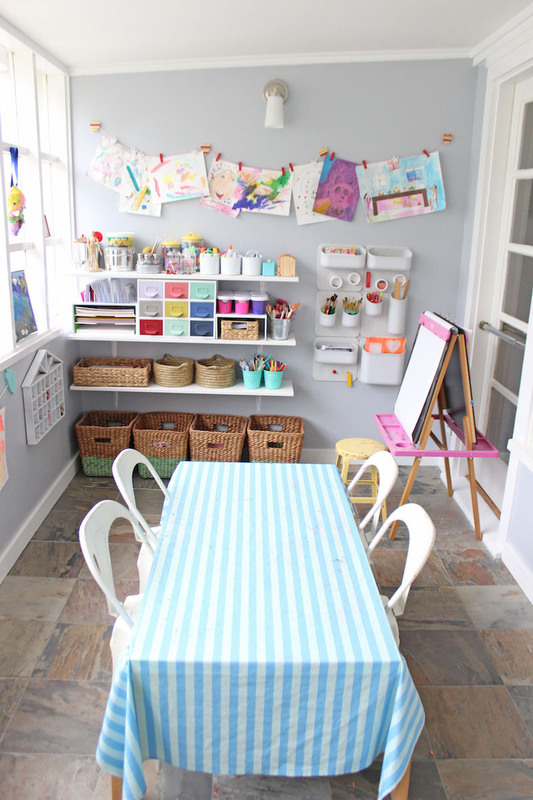 I led this with my kids as well as our Daisy troop of 20 girls, and I’ll share lots of tips for setting up a successful painting sessions at home or school. 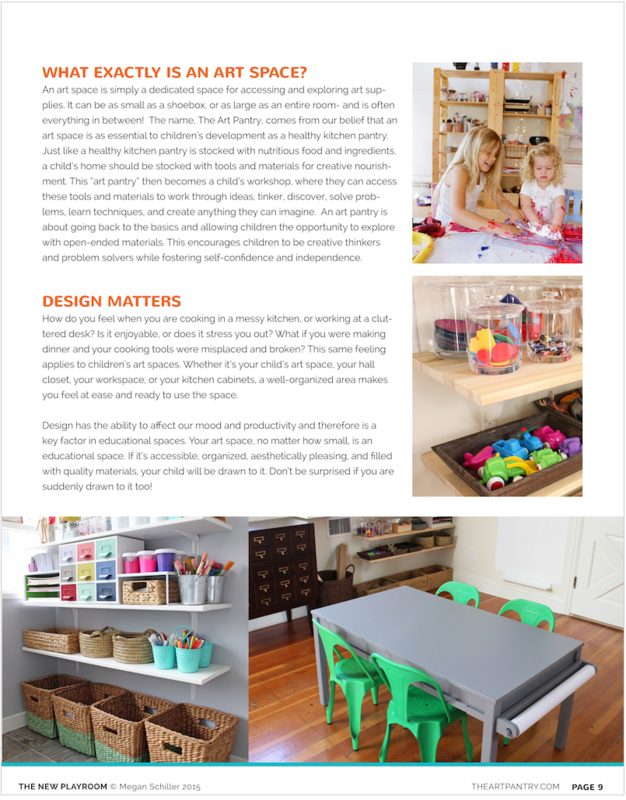 You may remember that I interviewed Megan Schiller not too long ago for an inside look into her inspiring, light-filled tinkering space. 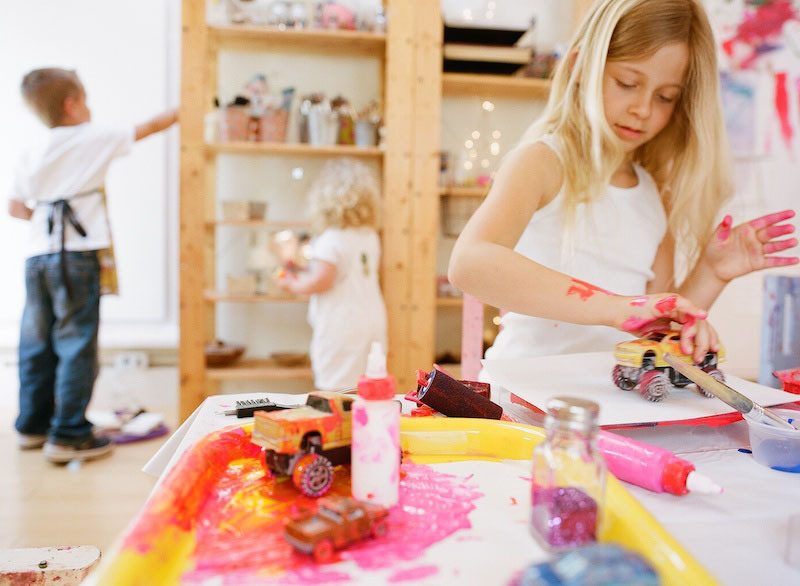 If you’re thinking about setting up a creativity zone in your home, this picture-heavy interview will not disappoint! You can see the entire series here. 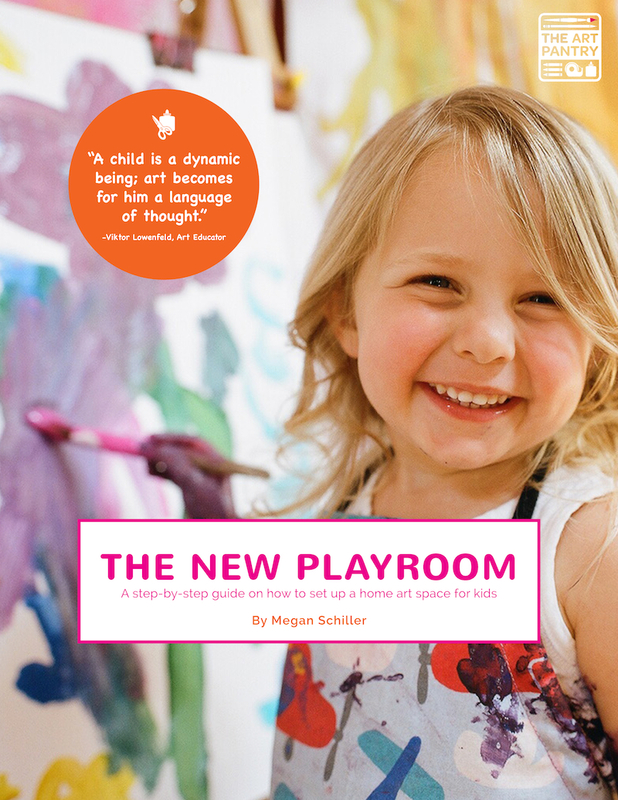 Well, today is an exciting day for Megan as she’s launching her new ebook, The New Playroom: A Step-by-step Guide on how to set up a home art space for kids. 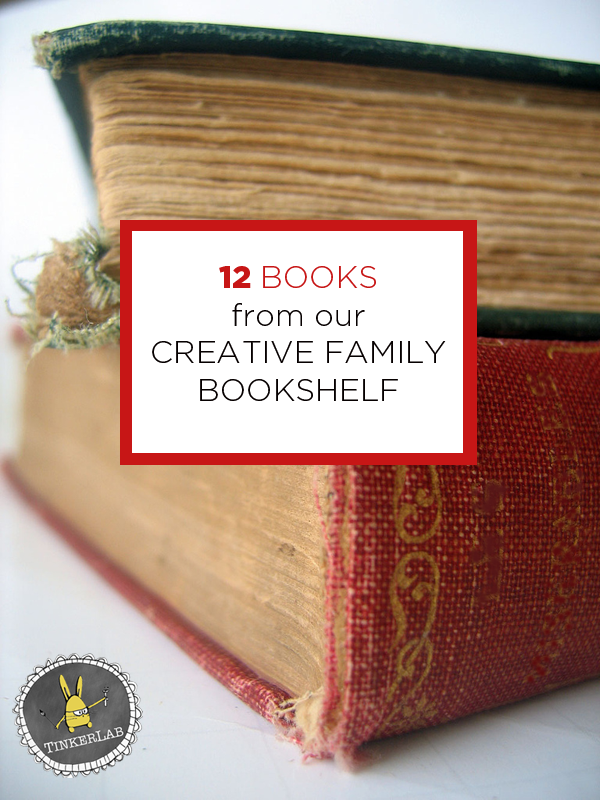 I got a sneak look at the ebook, and it’s full of lovely ideas for turning your kitchen, dining room table, or playroom into an art space that gets kids excited to create. 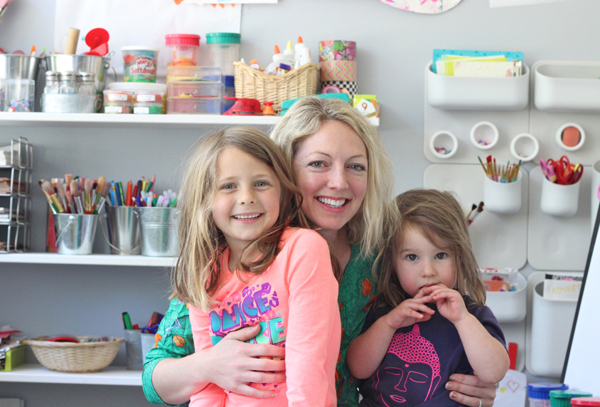 Not only is Megan a creative mom to two kiddos, but she also has a background in early childhood education and is the former owner of a thriving kids’ art studio in Mill Valley, CA. For the past year she’s been consulting clients who want to transform their home spaces into art-making havens, and now we all get to peek into her process. 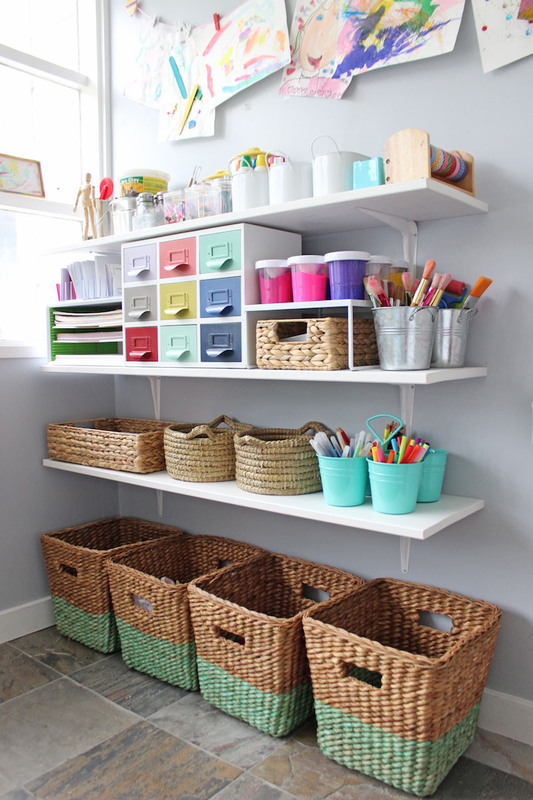 Tips on measuring, layout, organizing and more! For a short time, readers who purchase the ebook will also receive a bonus guide, Invitations To Create: 30 days of easy art prompts.